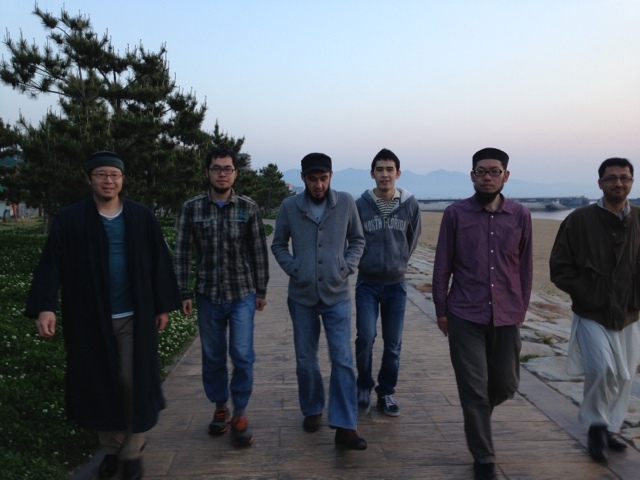 Alhamdu lillah, with Allah's Mercy, then all the help of His wonderful servants as my dear brothers, my work trip (Fukuoka April 27, Beppu April 28) for the Hereafter (volanteer for this world) ended safely. Alhamdu lillah, although it was rather short time to walk along the beach, I felt it really worked to strengthening our brotherly bond between us. Reflecting the very fact that our role models Sahaabah (R.A.) did become Sahaabah through spending the same time with the Messenger of Allah (S.A.W. ), spending the same time is so important to have stronger bond between people.